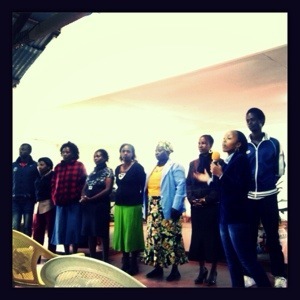 Liz Njeri introduces the Ngando Leadership Team at a town meeting in Ngando. April 6th I was asked to give a TEDx Talk in Mathare. The invite was exciting, fun and incredibly humbling. TED is a non-profit organization that asks speakers to share their life story and how their unique past led them to the work they are doing. This story/result should challenge the audience’s beliefs and provoke conversation. You would think for some one who is versed/teaches narrative this would have come easily to me but I was forced to really think about what I wanted to say. I didn’t want to get up there and give the usual “Tatua Rocks” schpeel, though we do rock. Instead, I was hoping to focus on the method/belief behind our work – that true development goes beyond the material to the spiritual. This belief is based in our understanding of poverty. We believe that poverty is more than a lack resources; it is a lie that you are in fact, inferior to the people who hold those resources. It is a lie that you do not have the power to create your own solutions. Currently, the majority of our development programs are focused on addressing the lack of resources rather than the lie that causes and encompasses that lack of resources, for more on how we’ve come to believe this lie see here. The trick with narrative is that to tell a good one you’ve got to know why you know something is true. I mean, I know that but this was a new narrative for me, I haven’t really talked about when I knew the difference between the tangible lack of resources I experienced as a child (I’ve talked about that before) but this time I was talking about when I felt poor. I was able to coach myself well enough to get to a story that I could tell. I was ten years old, it was cold outside and time for recess. I was wearing this old, pink, thin windbreaker. I ddin’t want to go to recess, I didn’t want the other kids to see my jacket, they all had warm clothes. So I hid, I curled up in a little ball in the ourdoor hallways of bendwood elementary and I hid. I continued hiding for the next eighteen years. James Njoroge works alongside Tony in Rongai. He is 21 years old and was born and raised in Rongai so he knows the community well. 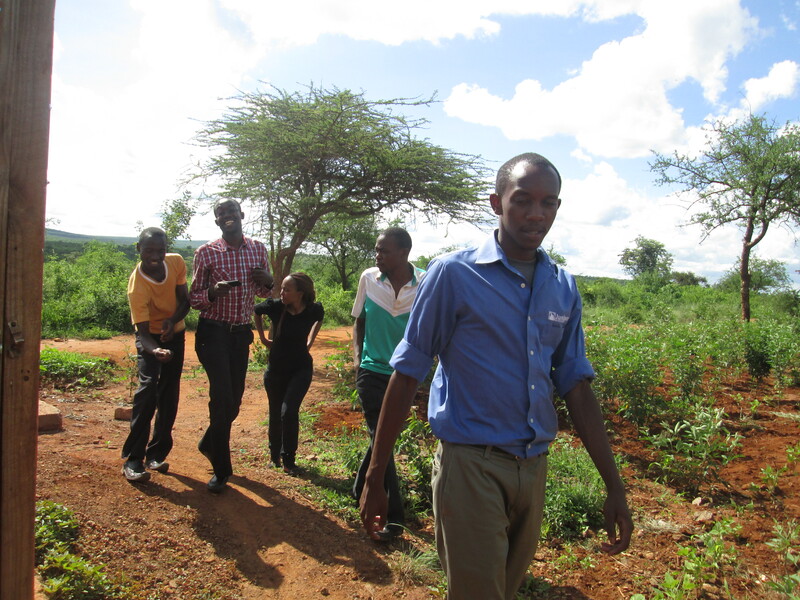 He aspires to be a good role model to future generations and instill the desire to help in others. Click here to see photos of the training! Share in comments: How can you do more in your community? What inspires you to want to do more?